Villa Fanny is located in the town of Sinemoretz. 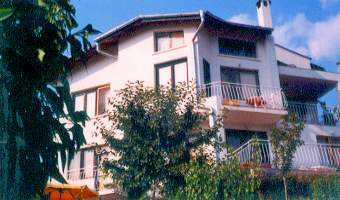 At your service there are 4 double rooms, two studios and an apartment. Needless to say you have a TV,fridge and toilet in every room. You can rent entire floor consisting of two bedrooms, guestroom with kitchen and big balcony. 8279 Sinemoretz Sv Kiril and Metodi str. It is a lovely hotel, very nice!